I am finishing up my time in Tennessee and Virginia having attended my Board of Trustee’s meeting on the campus of Emory & Henry College. The college is an exciting place to be. You can feel the excitement of students heading towards their final months of school. The campus is beautiful and has tremendously talented professors and extraordinary students contributing to the success of this small liberal arts college. According to Newsweek, Emory & Henry College is ranked fourth among all colleges and universities in the nation in providing service learning and community service. Preparations are underway to welcome the Copey Learning Center students scheduled to arrive on the college’s campus in June. Several Trustees confirmed their personal support to help raise the funds needed to cover the travel expenses for Ana Yancy, Angela, Fatima, and Adriana. We will officially call on that support in early May. Fatima and Adriana are busy preparing their own cultural dance presentation which they will perform while visiting our campus. The Copey community is also busy helping raise some of the funds needed to cover expenses prior to their departure. The Copey community is solidly behind the two students traveling to America. After June, the community will then have four of their small student population who have visited America. This opportuntiy to come to America serves as a powerful incentive for other students to learn. I hope this idea will be expanded to other US educational locations and more Copey students having the opportunty to travel to the US. “Friends”, Copey is a rural community very steep in cultural and traditional ways. Being such, families with very strong and close ties, require both trust and courage to allow their students to fly off to America. This is not a simple matter, not even for American parents who allow their students to travel to other countries. As “Friends” we have earned the trust in Copey and we all are blessed to have both Angela and Ana Yancy’s involvement and support. In my Post last year at this time I quoted our 35th President, John F. Kennedy. He said…“Children are the messengers we send to a time we will not see”. President Kennedy’s message was and still is so profound and so simple. It is a real joy spending time with my grand-kids and interacting with other young people. I understand their role as future messengers. Awhile back I shared with you the story of my grandfather paying me a quarter when I delivered his bowl of soup “perfectly” (without any spillage) each Saturday more than 50 years ago. The simple lesson was a very powerful life lesson provided in a simple and practical way. Learning early the concept of being paid based on performance has lasted my entire work life. Today, we have the responsibility for providing the message to the messengers of tomorrow. Let’s teach them how to earn that quarter and other important life lessons. Regarding the new facility, I spoke with several supporters over the past several weeks regarding our pending decision to help construct a new Learning Center in Copey. Very valuable advice has been offered and I will factor in all the advice as we move to our final decision. The time is getting close for an official announcement. Stay tuned in. A couple of weeks ago I had the honor and pleasure to visit with Dr. Joe Thomas. 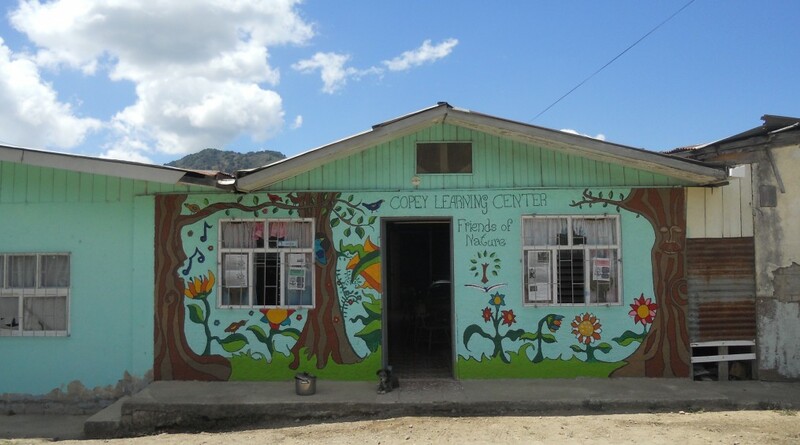 Recall that Dr. Thomas (Joe) was very instrumental in helping “Friends of Copey” get an early foothold into the mission of the Learning Center. His encouragement and support was a powerful source for me and spending time with him recently was a blessing. The great chemistry we seem to have is difficult to describe. Dr. Joe is a major player for the Junior Achievement organization and is well placed to make a difference in the lives of young people. More details about Dr. Joe is under Key Friends.